Who? All critically ill patients should receive an optimal nutrition plan, including optimization of oral intakes. What? A correct nutritional therapy aims at providing substances necessary to sustain cell function and life. Where? Different options to provide nutritional support are available, oral intake vs enteral nutrition vs parenteral vs subcutaneous delivery of nutrients in the future As the aim will be to deliver a correct amount of macro and micro nutrients, the route to be used will heavily depend on the patient. How to monitor? Quality control is very important and demands data acquisition and analysis. Learning objective: This workshop will outline the basic nutritional principles that underlie the need for individualized and personalized prescription of enteral and parenteral nutrition in the critically ill. In anology to antibiotic stewardship you will learn about nutrition stewardship. 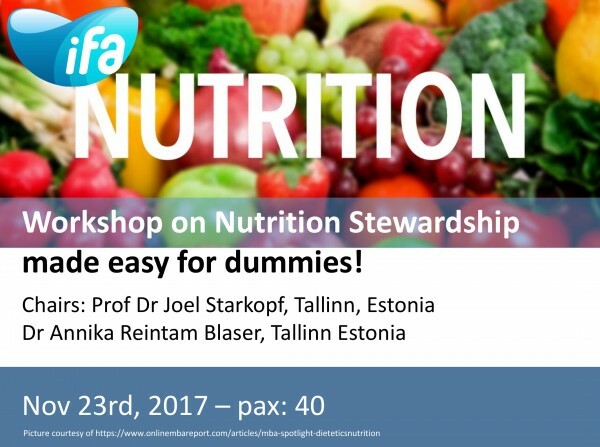 In this workshop different aspects will be discussed: good nutritional stewardship focusses on ownership, screening, assessment, diagnostic procedures with indirect calorimetry, how to set up nutritional care plan, and the actual prescription and nutritional therapy as well as the follow-up of your patients. Singer P, Berger MM, Van den Berghe G et al. ESPEN Guidelines on Parenteral Nutrition: intensive care. Clin Nutr. 2009;28:387-400. Dodek P, Cahill NE, Heyland DK. The relationship between organizational culture and implementation of clinical practice guidelines: a narrative review. J Parenter Enteral Nutr. 2010 ;34:669-74. De Waele E, Nguyen D, De Bondt K et al. The CoCoS trial: Caloric Control in Cardiac Surgery patients promotes survival, an interventional trial with retrospective control. Clin Nutr. 2017 Mar 18. pii: S0261-5614(17)30098-5. doi: 10.1016/j.clnu.2017.03.007. Casaer MP, Mesotten D, Hermans G et al. Early versus late parenteral nutrition in critically ill adults. N Engl J Med. 2011 ;365:506-17. Preiser JC, van Zanten AR, Berger MM et al. Metabolic and nutritional support of critically ill patients: consensus and controversies. Crit Care. 2015 Jan 29;19:35. doi: 10.1186/s13054-015-0737-8. Review.